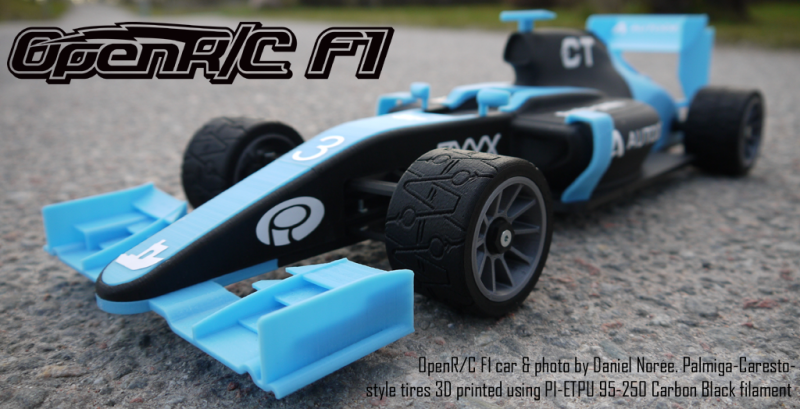 Thomas Palm from Rubber3Dprinting.com & palmiga.com teams up with Leif Tufvesson from Caresto AB to be able to contribute with yet another tire design to the open source OpenR/C Formula 1 project by Daniel Norée. 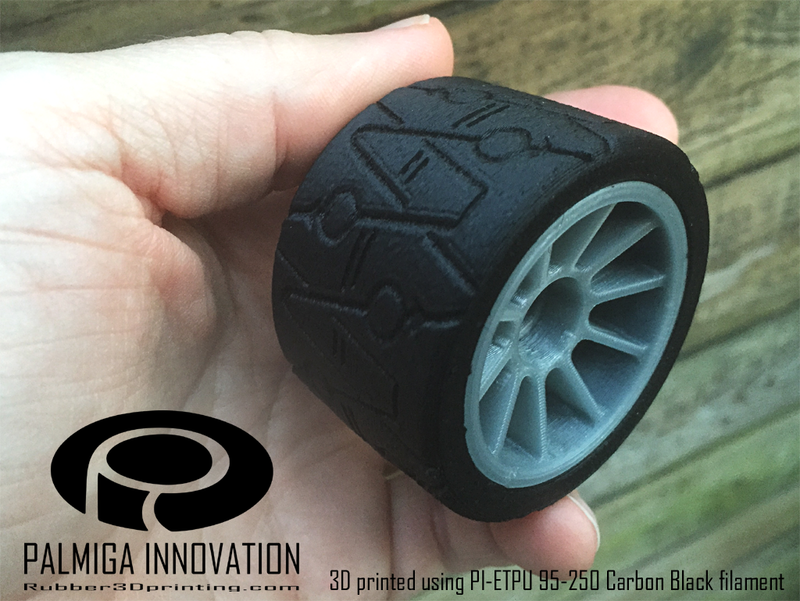 This tire design is based on Leif Tufvesson´s tires from the HOT ROD JAKOB (and also the color scheme of the OpenR/C Formula 1 as you can see below). 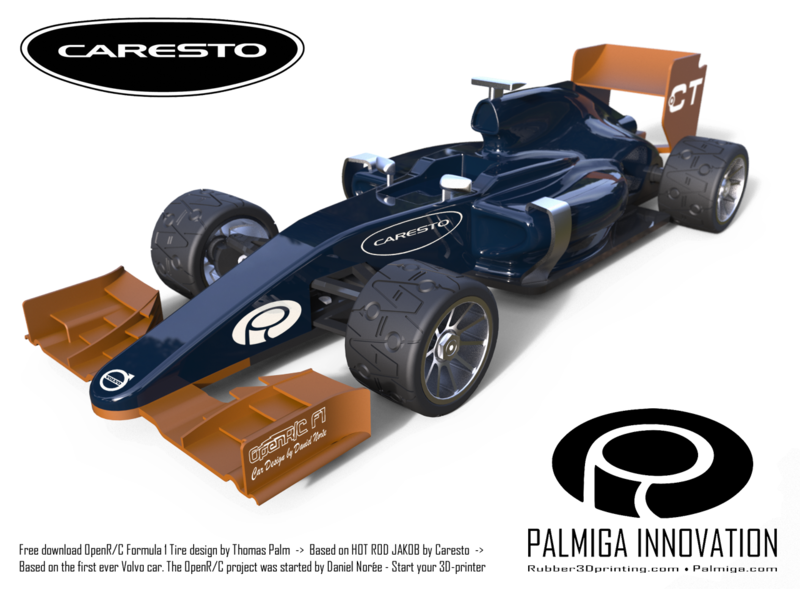 OpenR/C Formula 1 car with tire design inspired by the HOT ROD JAKOB, 3D rendered picture by Palmiga Innovation. The license ( http://creativecommons.org/licenses/by-sa/3.0/ ) gives you the chance to use these tires commercially as long as you give appropriate credit, please respect that or you risk to dramatically lower the chances for new free content in the future! P.S. 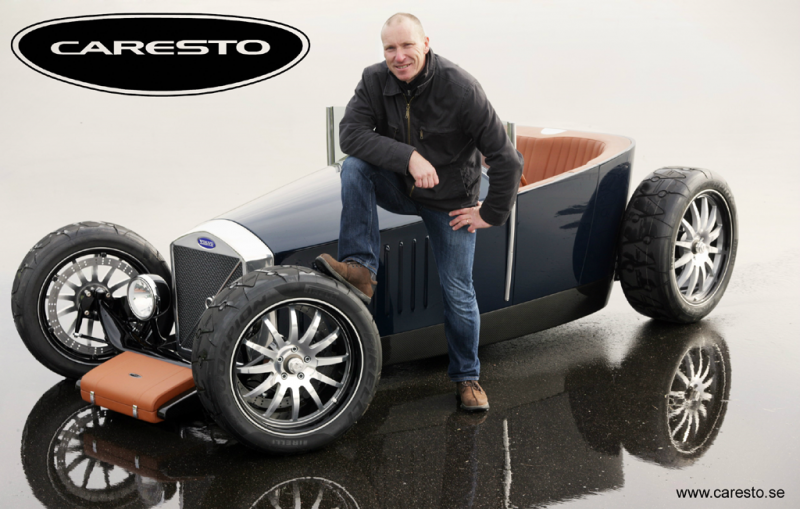 Very soon you will be flabbergasted when seeing Caresto´s next build! 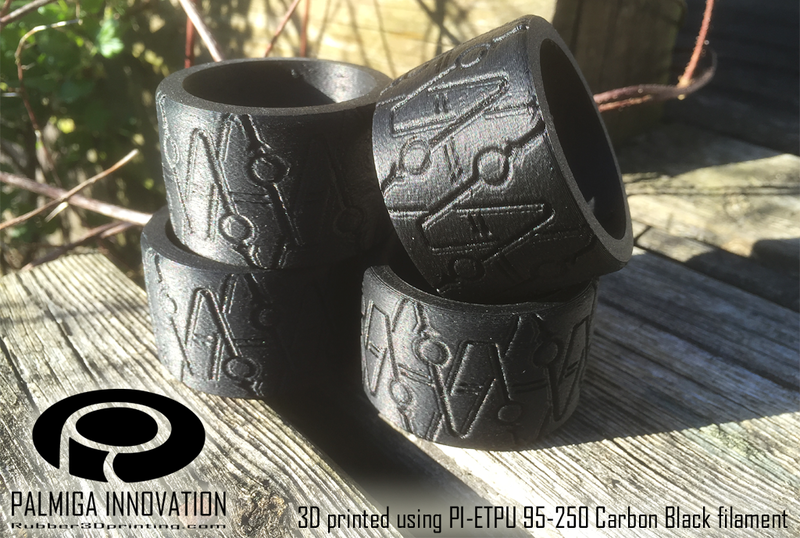 Palmiga Innovation had the privilege to deliver 3 pieces of flexible 3D prints to that project.